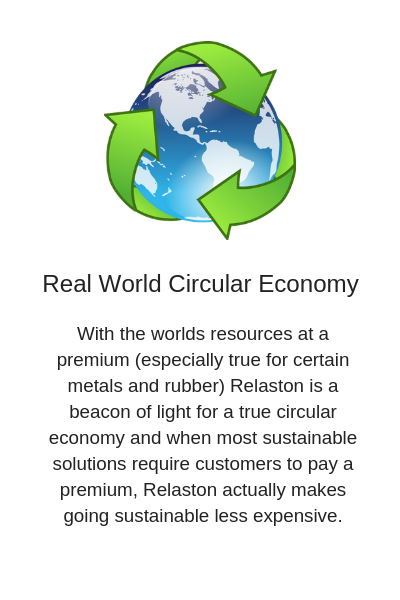 Why Relaston For The Worlds Recycling Needs? The negative effects arising from the presence of waste materials on the environment and in the work place is a major problem worldwide. 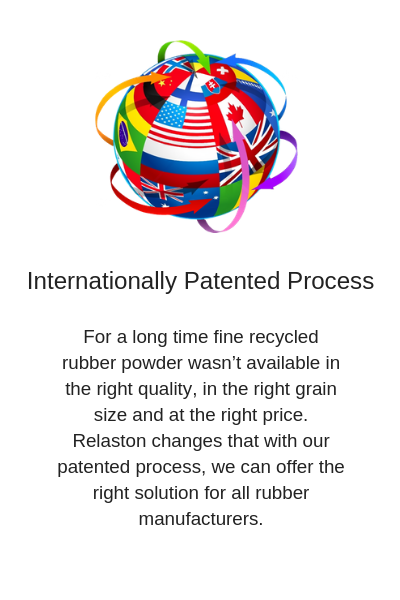 Relaston and it's 5 international patents have the technology and know how to recycle scrap rubber and thermoplastics into new synthetic rubber compounds to help restore our environment while reducing the cost of synthetic rubber for the rubber products industry. According to a report by Transparency Market Research, companies in the global rubber market are reducing their dependency on the automotive sector. Manufacturers are shifting to synthetic rubber from natural rubber due to irregular supply and higher prices. Manufactures are engaging in research and development to cater to the demands of their consumers. The major players have adopted various strategies such as acquisitions, partnerships, joint ventures, expansions, agreements, product launches and others so as to expand their horizon in the market. Some of the key players in the global industrial rubber products market are Yokohama Rubber CO., Ltd., Cooper Standard Inc., Bridgestone Corporation, Freudenberg Group, Continental AG, HEXPOL AB, The Goodyear Tire & Rubber Company, NOK CORPORATION, Gates Corporation, Eaton, Sumitomo Riko Company Limited, and Myers Industries, Inc. The global industrial rubber products market is expected to grow at a healthy CAGR of 5.5% during the forecast period of 2017 to 2025. According to product type, the global industrial rubber products market is leading by mechanical goods. It is dominating the market as it held 50% of the share in the market during 2016. It is expected to rise significantly during the forecast period. Asia Pacific among all other regions is leading the market. It held one third of the shares in market during 2016 and is expected to lead the market during the forecast period. The global industrial rubber products market is driven majorly by manufacturers of auto component and motor cycle output. The rise in demand from automotive industry is likely to fuel the market for industrial rubber products market during the forecast period. End users have also increased consumption of rubber products that has led to rise in demand of industrial rubber products. End user sectors include automotive, aerospace, energy, construction and infrastructure, all have shown significant rise in the demand of industrial rubber products are expected to keep rising in the coming years. There has been increased consumption of battery and autonomous vehicles in the market which has propelled the rise of rubber products in the market as well. 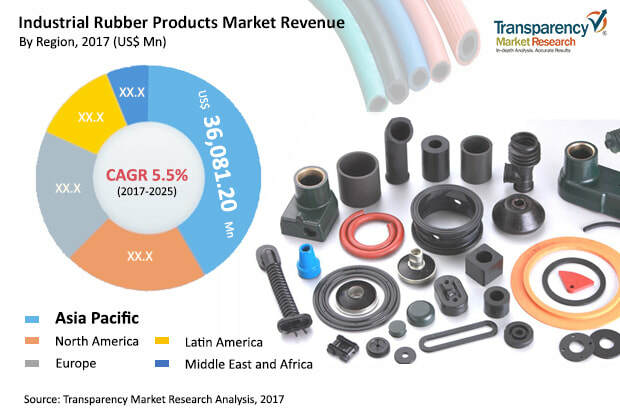 Demand for industrial rubber products are also driven by growth in construction and infrastructure markets and Emerging economies have led to greater demand of industrial rubber products. The industrial rubber products market is expected to experience downfall in the market due to certain restraints. Rapid and unpredictable changes in the raw material supply is likely to hamper the growth of the market in the coming years. Sudden crisis in the market for raw material can causes the market to suffer loss. There is also volatility in the prices of rubber in the market. This is the major factor for restraint in the market. The fluctuation in prices leads to instability in the market. These factors are expected to affect the market growth during the forecast period. 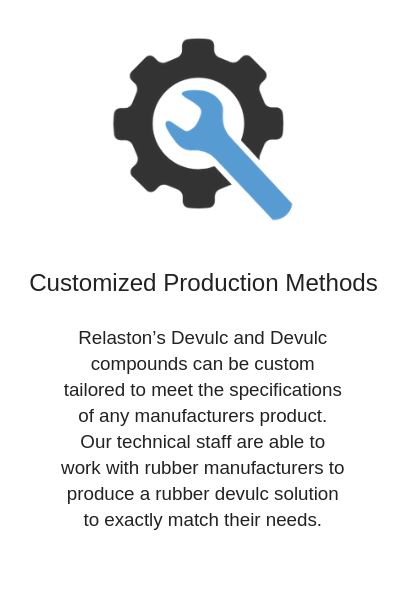 Relaston has a huge price advantage over natural rubber even when charging premium prices for our product. Scrap rubber supply is abundant and an ever increasing supply will serve to stabilize the otherwise volatile market.